Ever Think of Blaming God and Giving Up? There were times when the thought of giving up tried to overwhelm me. It was a difficult enduring the infamous church splits, injustices, slanderous gossip, poverty, and broken trust by numerous people that we thought were friends. There were many more afflictions and harsh situations that I will not mention because they pale in comparison to what the Believers are suffering and have suffered in other nations. I only state these few incidents to help folks understand that I do not speak from a life on easy street. Being in church leadership can result in some very harsh experiences. It is not fair and other than being a grumble pot of negativity the only other option is to complain to God about the unfairness of it. Really? The fact is that life is not fair, people are not fair, adverse church situations are caused by unfair people and those situations do not always end fairly. There are few people in Christianity with the character and integrity to stand firm for what is right no matter what the cost. It will leave a pastor alone with no one but his family console him. They cannot minister to his grief, but he must minister to them in his grief. 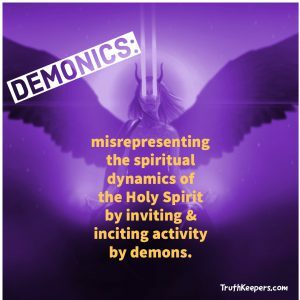 It is a chaotic world with many disordered individuals who are much more responsive to satanic influence than they are to the Holy Spirit. They are not spiritually stable or even clean, so they can be used as tools of Satan to harm God’s people. However, they dwell among us without compassion and assemble with us as spots (spiritual lepers) among our feasts of charity (Jude 1:12). As I understand it, our physical body itches to warn us when something has irritated our skin. Whatever the irritation, it activates itch receptors of specialized nerve endings called C-fibers. C-fibers, which are are identical to the ones associated with pain, convey the itch sensations to the brain. Scratching arouses the C-fibers that are associated with pain and short-circuits the receptors sensing the itching. Oh, what a relief it is, but only temporarily.